Note: If you already registered at the CAIR Immunization Messaging Portal, your registration information will be migrated to the CDPH HIE Gateway and registrants will be notified when this work is completed. Once migrated, Immunization Portal registrants will be able to login to the CDPH HIE Gateway to modify registration info or view message submission reports, as well as register to submit other types of public health data. Sites that registered with the CAIR Portal through September 30, 2013, DO NOT have to re-register with the CDPH HIE Gateway. b)	Click the button Click Here to Register to begin the registration process. You will be taken to the Meaningful Use Capability Matrix where you can then locate which type(s) of public health data you plan to submit and proceed with the provided instructions. c)	Choose a User Name and Password and provide your email address. d)	Click Create account. A verification message will now be sent to your e-mail address. e)	Once you receive the verification email, click on the link Click to confirm your registration which takes you back to the Gateway site. You have now confirmed your e-mail address. f)	You will be directed to a new screen. Click the link Step 3: Fill in contact information. g)	You are now on the main log-in page. 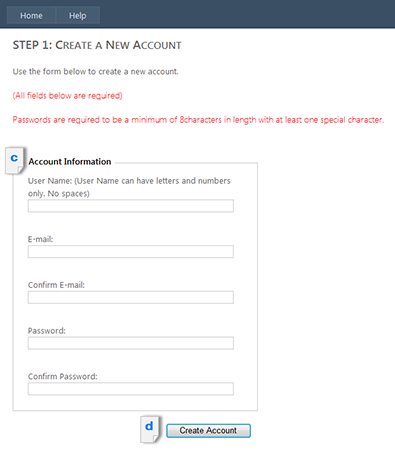 Sign in with the User Name and Password you chose in Step 1.
h)	On the next page are links to information sections that must be completed. Click on the link next to Step 3: Complete Contact Information. 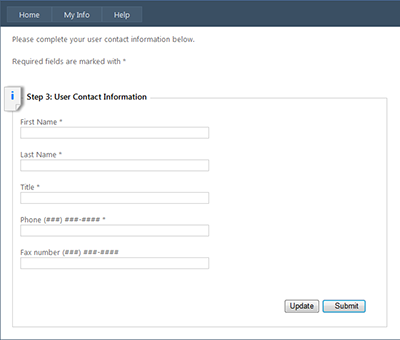 i)	Complete the User Contact Information fields and click submit (* = required fields). j)	You will be returned to the previous page and see that your status for this area has changed to 100% if you have provided all the necessary information. k)	Now click the link next to Step 4: Complete Submitter Organization Information. l)	Complete the Organization Information fields. As an individual Provider, Healthcare Organization or EHR Vendors you will select one of the first two options in the first field drop down. Click submit when you are finished. The status of this section should now also read 100%. m)	Now click the link to go to Step 5: Program enrollment status. n)	You are now on the Manage Submissions page. 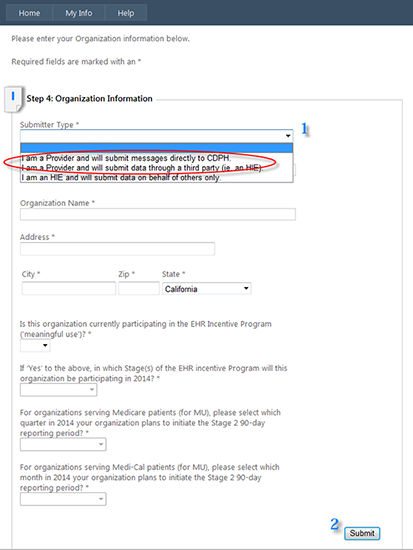 From here you are able to select the CDPH programs with which you would like to register for data exchange. Click the enroll button to the right of the program name you are choosing. o)	Complete each of the program supplemental data fields and click submit and you will be returned to the Manage Submissions page. After submitting this information you will receive a confirmation email and the program will be notified of your request to enroll. p)	If you intend to register with multiple Data Exchange programs, repeat this process for each program by clicking the button to the right of the program name. Note: required data fields are program-specific; each Data Exchange program will require different information. You have now completed your registration. 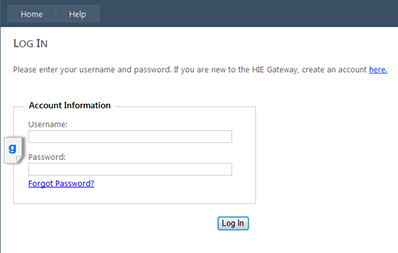 If you are approved for data exchange with your selected CDPH program you will receive further instructions on how to proceed with HIE Gateway Connection.